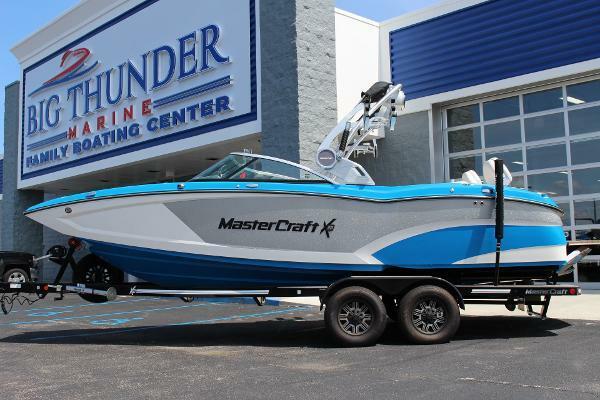 2018 MasterCraft X23 | On Clearance! The Power T500-1bd is a 500 Watt mono amplifier featuring Constant Power delivering up to 25% more power across all impedance loads. The frequency response of the T500-1bdCP is optimized exclusively for use with subwoofers. The T500-1bd is based on the legendary T500-1bd amplifier design with a proprietary "Constant Power" configuration delivering up to 25% more power (Watts) across all impedance loads. The listening experience is cleaner, louder and more impressive than ever before. With the T500-1bdCP, you can now use an "under-the-seat" dedicated subwoofer amplifier to drive two 4-Ohm DVC subwoofers.